Social Media Engagement at CPhI worldwide: A Pharma First! 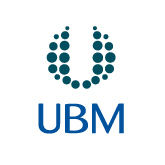 This year at CPhI worldwide, UBM Live took the decision to incorporate a brand new way for both exhibitors and attendees to get involved; social media. The main event hashtag #cphiww was printed across all printed materials and promotional signage leading up the event in order to increase awareness of both visitors and attendees of the ability to get involved with CPhI online. The official hashtag was also tweeted on a regular basis leading up to CPhI and during the three day event to maximise online participation from visitors and exhibitors alike. The event venue, the Messe Frankfurt exhibition grounds contains approximately 578,000 square metres of space alongside 10 purpose built exhibition halls. The venue also had 70 digital screens dotted around at strategic locations, providing visitors with useful information about the activity in different parts of Messe, along with advertisements and video broadcasts. EventBeat got involved here by creating a multiple feed, content specific Twitter Wall solution purpose-built for this huge event. The Twitter Wall was allocated to 20 of the digital screens for CPhI at Messe, with a diverse range of activity on these screens. In an EventBeat first, we constructed a total 7 social feeds, including one CPhI ‘Buyer’ specific feed. The seven feeds included a ‘General’ (for general top comments from attendees and exhibitors at the event) an ‘Exhibitor’ feed displaying tweets from exhibitors promoting their stand, a ‘Pictures and Comments’ feed broadcasting all the top images alongside the tweet from visitors, an ‘Image Slide’ feed with full screen images rolling across the Twitter Wall, and also several ‘Q&A’ feeds displaying both questions next to the answers from Twitter. In addition to this, CPhI made extensive use of the announcement capability within EventBeat with a total of 127 announcements broadcasted directly onto venue screens across the 3 days. The announcements included information about the next presentation at CPhI, and also encouraged attendees to answer various questions about the event. The CPhI ‘Buy’ feed was used by a dedicated buy team from CPhI, and was used to broadcast buying requests from clients across Twitter. The idea here was to grab the attention of passers by and of course potential suppliers of the good being requested. A total of 139 buying requests were broadcasted at the event. The EventBeat ‘organise’ capability proved extremely useful during CPhI, with positive and negative tweets being well managed throughout the show (fortunately there were many more positives than negatives from attendees!). This useful insight will allow UBM Live and CPhI to get an accurate picture of what worked and what elements could do with improvement for CPhI worldwide 2014. The global pharmaceutical industry is not a space where you’d initially think social media could have an impact, CPhI have really set the standard for industry with EventBeat at CphI 2013! Through EventBeat we were able to identify top influencers across Twitter at CPhI. As well as influence, we could organise all of UBM’s favourite tweets and twitpics in order to award people at the event for their creative input!